↑ अ आ Taylor, H. (1958). 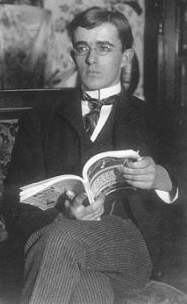 "Irving Langmuir 1881-1957". Biographical Memoirs of Fellows of the Royal Society. 4: 167. डीओआइ:10.1098/rsbm.1958.0015. ↑ Langmuir, Irving (June 1919). "The Arrangement of Electrons in Atoms and Molecules". Journal of the American Chemical Society. 41 (6): 868–934. डीओआइ:10.1021/ja02227a002.